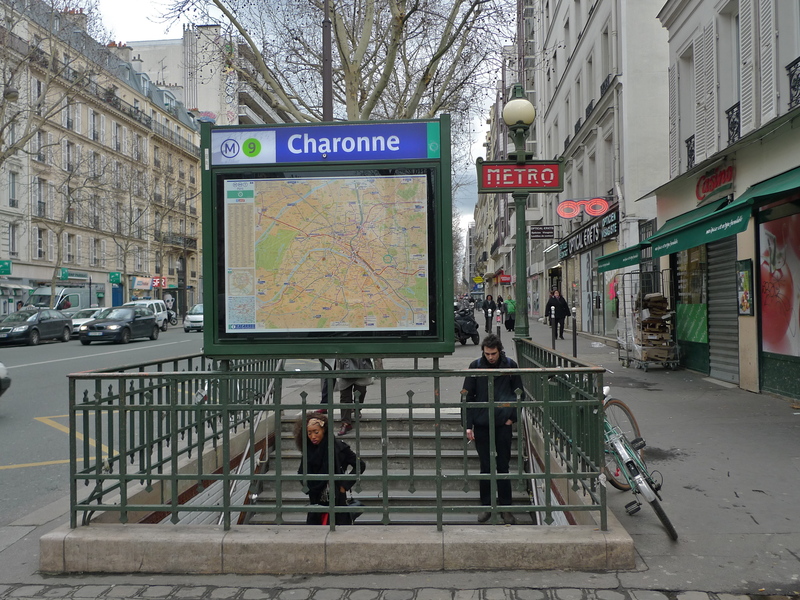 TWO DAYS AGO, on Friday 8th February 2013, I found myself in Charonne station on Line 9 of the Paris Métro. 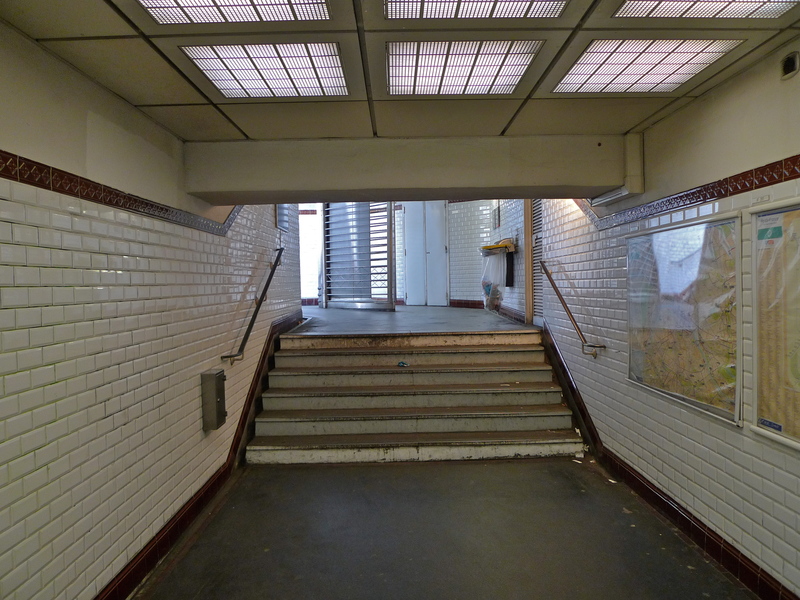 At first sight, it’s just an ordinary Métro station with nothing in particular to commend it. But, as I walked into the station, passed through the ticket barrier and waited for my train on the platform, I couldn’t help thinking about the terrible event that took place here on 8th February, 1962, 51 years ago to the day. 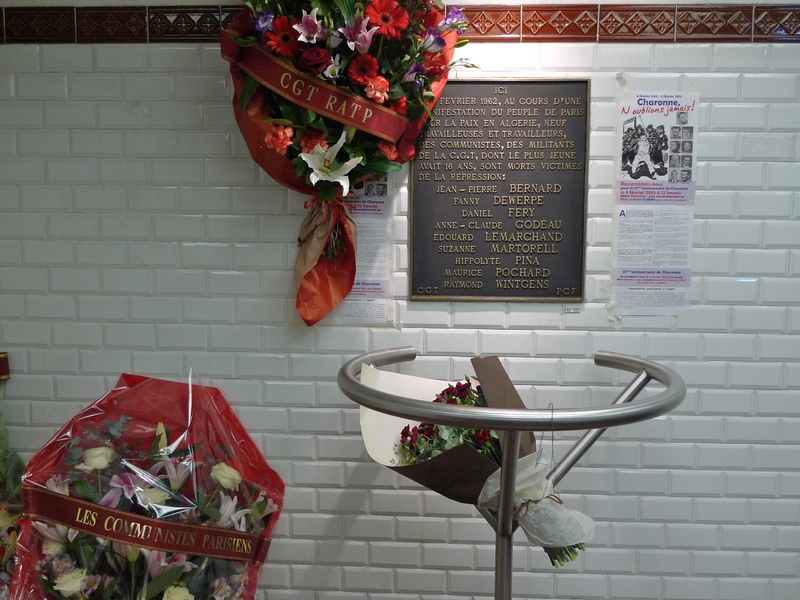 On that day in 1962, the Paris police were responsible for the the massacre of nine people in the stairwell of Charonne station, an event that is remembered each year by a short ceremony and the laying of wreaths on the spot where the massacre took place. To get to my platform, I walked into the same stairwell and stopped to look at the tributes that had been left after this year’s ceremony which had taken place an hour or so earlier. In the late 1950’s and early 1960’s, France was embroiled in the Algerian War of Independence. By the time the French Government had come to the conclusion that Algeria should be granted independence the war had moved onto the streets of Paris. On the one side was the FLN (Front de Libération Nationale), the Algerian nationalist movement who were fighting for Algerian independence and on the other, the OAS (Organisation armée secrète), the French dissident paramilitary organisation attempting to prevent Algeria’s secession from French governance. Both sides resorted to extreme violence including sabotage, bombings, and assassinations. On 5 October 1961, the chief of the Paris police, Maurice Papon, (one time French Nazi convicted in 1998 for crimes against humanity for his part in the deportation of Jews from France during WWII) announced a curfew from 8.30 pm to 5.30 am in Paris and its suburbs for “Algerian Muslim workers”, “French Muslims” and “French Muslims of Algeria”. In response the French Federation of the FLN called upon the whole of the Algerian population in Paris to demonstrate against the curfew on 17 October. In the event, some 30,000 pro-FLN Algerians took to the streets. Their demonstration had not been sanctioned by the prefecture de police, headed by Papon, and the response by the police was brutal in the extreme. In fact, it was a massacre. 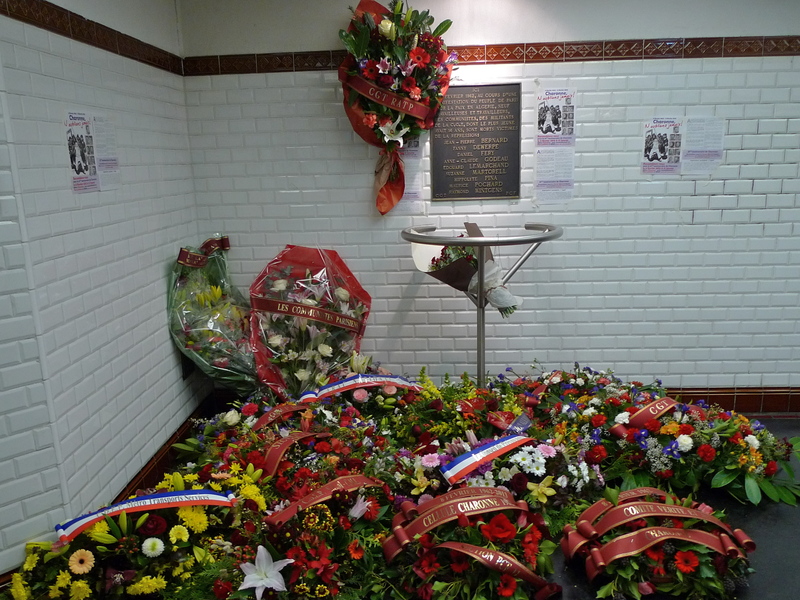 It took the French Government until 1998 to admit that the massacre had taken place in 1961 and that 48 demonstrators had been killed, although the generally accepted view is that the death toll was around 200. On 8 February 1962, another demonstration, also prohibited by the police, took place near Charonne metro station. Police, directed by the same Maurice Papon, blocked the nearby streets before charging the crowd. 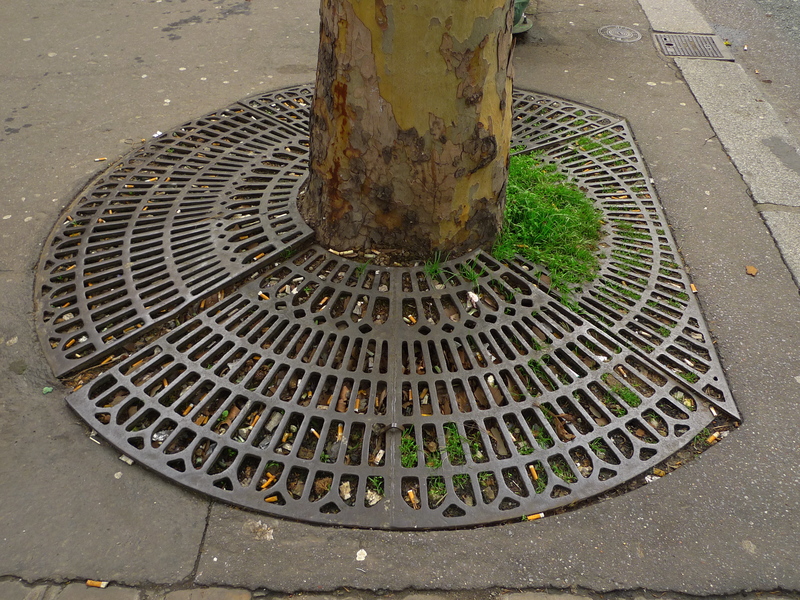 Some demonstrators tried to take refuge in the entry of the Charonne metro station, but police pursued the crowd into the station and using their weapon of choice, heavy iron plates used around the bases of trees, hurled them down onto demonstrators in the stairwell. Eight people were crushed to death or died from head injuries and a ninth died from wounds in hospital. All of the dead, except for a sixteen year-old boy, were members of the Communist Party or union members. There could be no period of denial by the police or the government after this massacre. In 1961, all the victims were Algerian but in 1962, they were French. 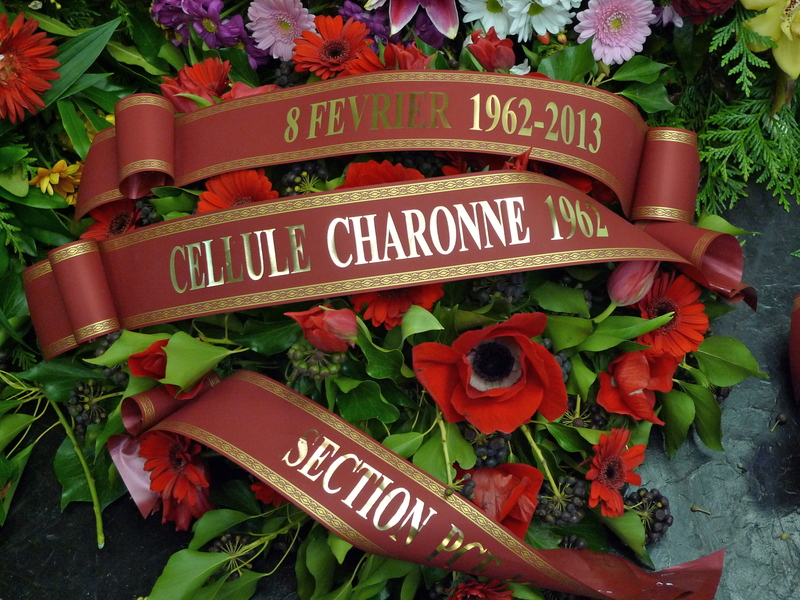 The dead were buried in Père Lachaise cemetery near the Mur des Federes and their funerals were attended by hundreds of thousands of people. 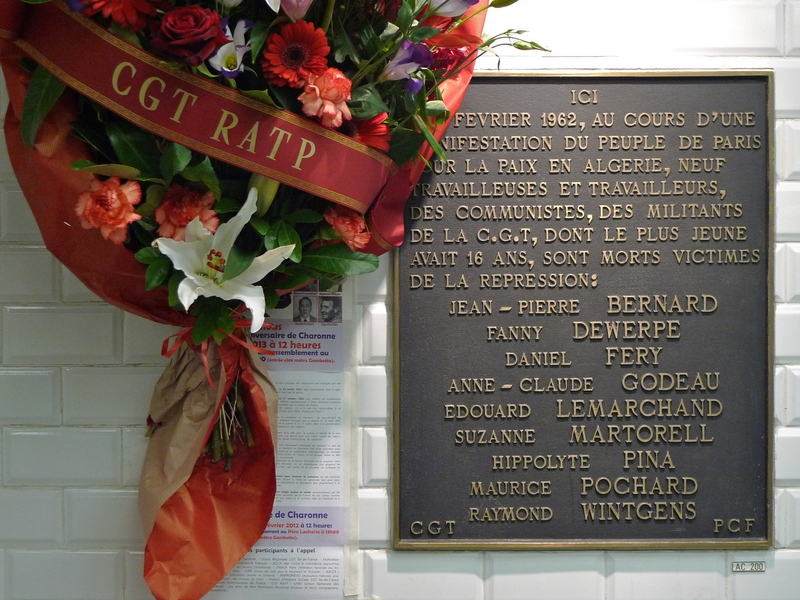 On 8 February 2007, 45 years after the event, a commemorative plaque was installed inside the metro station where the massacre occurred. No one has ever been prosecuted for the massacres in 1961 and 1962 because they fell under the general amnesty for crimes committed during the Algerian War. 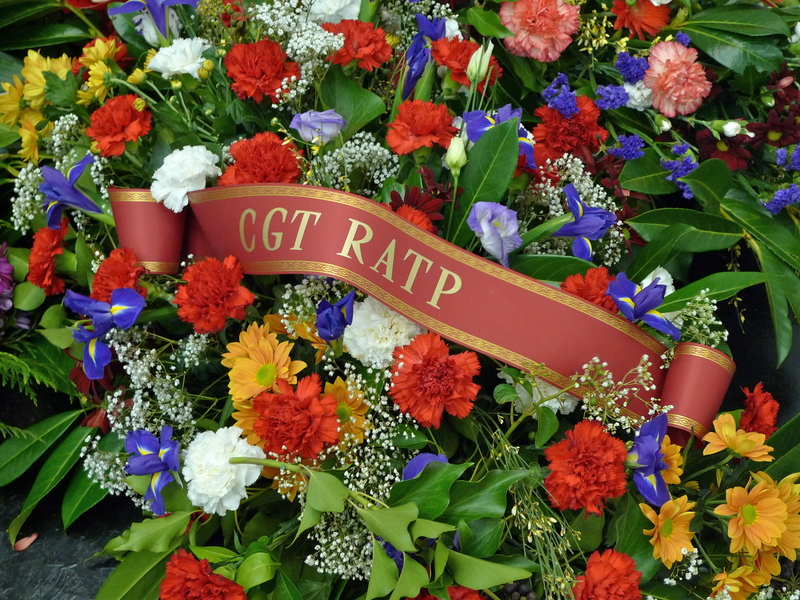 On any other day, most of the passengers passing through Charonne station could be forgiven for not thinking about, or even knowing about, the events that took place here 51 years ago. But on Friday, it was especially gratifying to see busy people taking time to stop, read the text on the plaque on the wall and pay their respects. Our history is important, it should be remembered however unpleasant it may be.